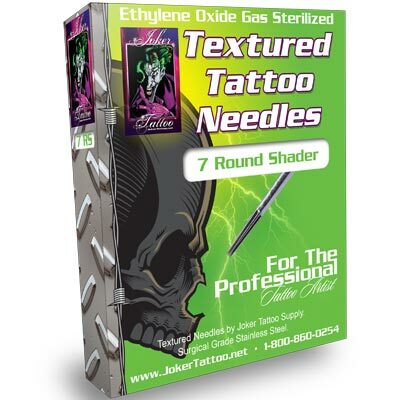 Textured Tattoo Needles, manufactured by Joker Tattoo. 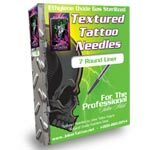 These textured tattoo needles are the best in the tattoo industry. Manufactured from the highest quality, surgical grade stainless steel. Each needle is sterilized using Ethylene Oxide Gas and individually sealed in blister packs. 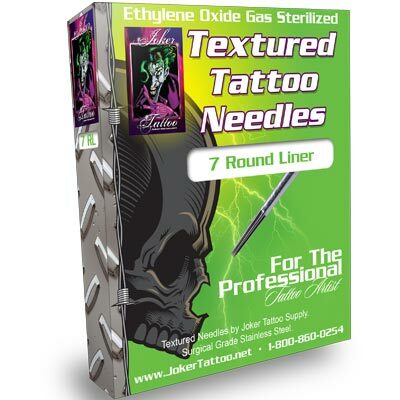 Textured tattoo needles carry a larger amount of ink than standard tattoo needles. Feel free to give us a call at 1-800-860-0254 if you have any questions regarding our Textured Tattoo Needles.